Stretchhh… I’ve just woken from a Sunday afternoon kip on the sofa. A little guilty pleasure, minus the guilt. Why should I feel guilty for listening to my body when it’s letting me know it needs rest? Hee hee. Only thing is, I have a mountain of washing up and some baking still to do, and it’s nearly 6.30pm. Today’s cake was a White Chocolate Cappuccino Cake. It was up there with the praline coffee gateaux in the looks category. Another show-off of a cake. It was a simple sponge recipe, with a cream and white chocolate filling, topped with a white chocolate buttercream, rolled in dark chocolate and chopped hazelnuts. Phew. A friend called Ben got this beauty of a cake. I hadn’t seen Ben since last year, of course that has been rectified now. We had a coffee and talked about holidays. Oh, holidays…you elude me. Sigh. It’s the penultimate day of 30 Days of Baking tomorrow! I really feel I shall be sad to see it end. I have had several requests for some sort of recipe book, any ideas or comments on that? It would be a nice memory of my endeavours during April 2013. 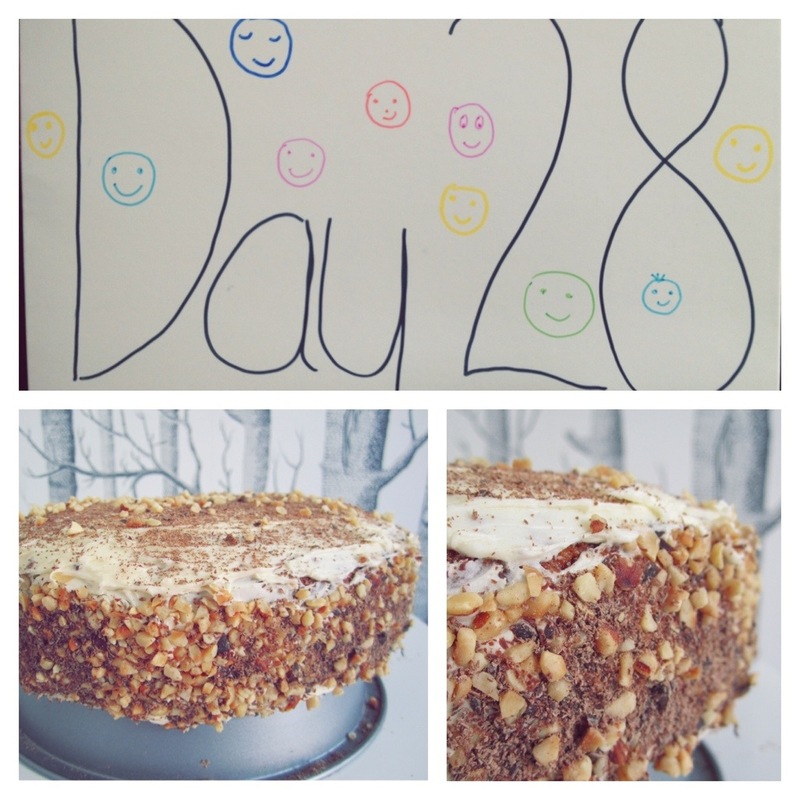 This entry was posted in 30 Days of Baking and tagged baking, cake, cappuccino, challenge, charity, chocolate, coffee, cream, hazelnuts, Mind, white chocolate, white chocolate cappuccino cake. Bookmark the permalink.